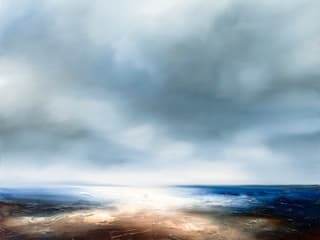 With global representation, international fine artist Paul Bennett specialises in contemporary semi-abstract seascapes and landscapes and also distinctive portraiture. The two themes are very different in mood, style and perspective, but both endeavour to generate a sense of intimacy and isolation while leaving the subject open to interpretation. The intention is to create from memory to produce finished work that is abstracted and more expressional than representational. The advance of digital imagery signifies that almost anything is possible within the realm of our visual imagination. 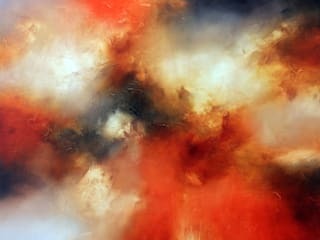 It has been Bennett's aim to create work that is most definitely painted; accomplished by using rich textures, multiple layers, poured paint and brush/palette knife marks. This becomes a way of escaping the everyday, mass produced visuals that we are constantly exposed to and the way in which we now digest and assimilate our visual world. His approach is to record and comment on things that are more than visually apparent: to tease out more than the eye can see, to draw people in and invite them to experience – not just consume – an image.